BrainPOP UK Featured Movie app is an excellent app that allows students to learn independently in a classroom environment as well as on the move. Students can download the app on their iPad, iPhone, and iPod touch and learn something new every day for free. 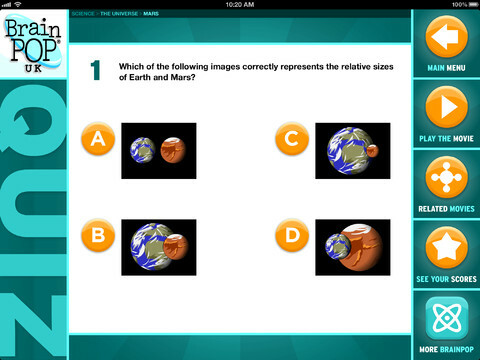 Students can watch a different animated movie each day, then o test their knowledge they can take an interactive quiz. This is an excellent resource for a tutor time activity as well as topical videos that may be linked to your particular subject area. 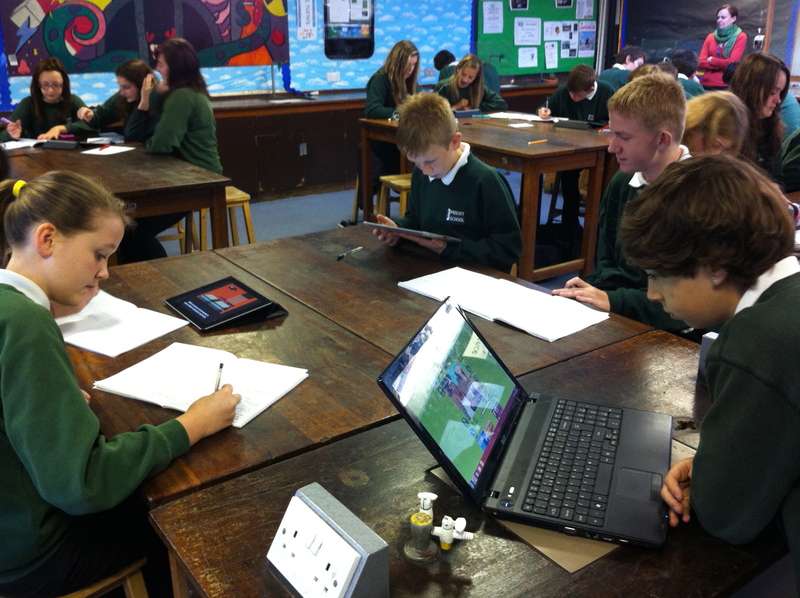 The subjects Science, Humanities, English, Maths, Arts, PSHE & Citizenship, and Design & Technology. Site subscribers can log in and access all BrainPOP content directly from the app. 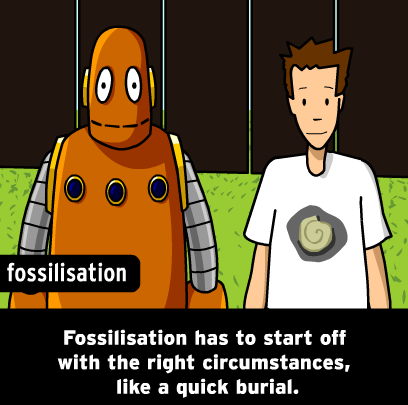 A free trial can be obtained from www.brainpop.co.uk. 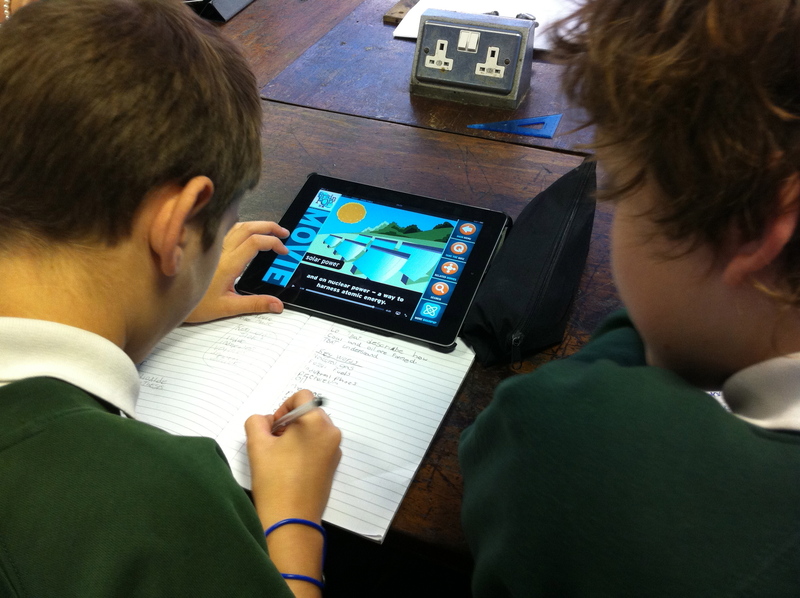 Recently I used the BrainPOP app to encourage students to learn independently from the teacher with great outcomes. Students where motivated to learn as they were in control. The element of choice motivated students to learn in a variety of ways. Students enjoyed the short animated movies and all feedback was very positive. Students felt that they learn better from using the app and that they found it easier to use than YouTube and BBC Bitesize because the way that the app was set out and the quality of the videos and quizzes. The multiple choice quizzes provide a competitive twist to AfL and all students enjoyed taking part. Students also felt that they learnt more Keywords and the correct spelling of these important ‘Keywords’ as the videos have subtitles which helped lower ability students with their literacy along with helping them determine the important information from the video. This can also be used an excellent way as a whole class with ‘Keyword Video Bingo’ either at the start or the end. Students write down a list of words that they expect to be in the video. While he video is playing students listen out for their keywords.This could either be used to assess their prior knowledge or AfL at the end of the lesson. Overall an amazing resource that should be used by students of all ages and across all subject areas. Although the free trail will not last forever the pricing is very reasonable and would be well worth considering purchasing as a whole school and allowing to learn when ever they want to and using both desktop computers and mobile devices. Posted on November 2, 2012, in Apps, elearning, General, iPad, iPhone. Bookmark the permalink. 5 Comments. Reblogged this on iPads @ PCSA. Also a great way to keep students engaged during those dreaded “cover lessons” that have to be left from time to time! All for encouraging some autonomous learning and the process can be coupled with an instruction to create a way of teaching what you have just learned with your own resources.